The senior registrar said that she had never seen such a thing in her 25 years of service at the hospital. Thank you so much Ingrid, this yoga move has now gone down in history at Kings as a way to turn the baby! 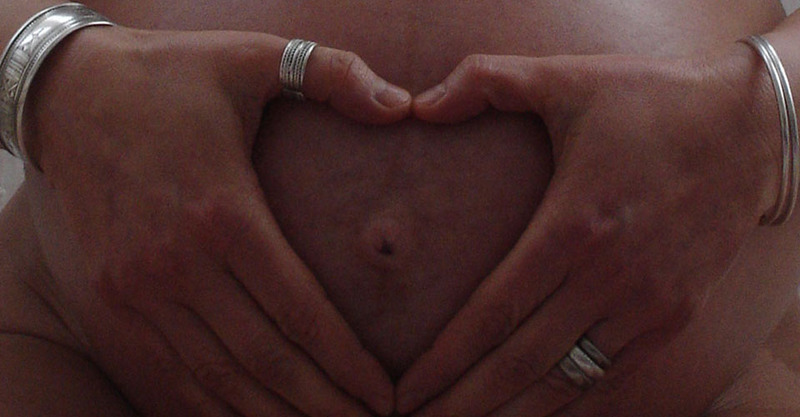 Birth Preparation Intensive Course – prepare for the everyday miracle of giving birth. This course is ideally for you and your husband/partner or the person who will be your birthing partner. You can of course also come on your own. It is also available on a 1-1 or women-only basis. Combining indigenous knowledge about reproduction and birth of the Yaka Pygmies (Congo), Yakumamai Indians (Peru) and Mayan Midwives (Belize) and the yogic wisdom of the ancient sages with scientific research the course helps to prepare you to go 'to the place where birth happens more easily'; where the mind can quieten so that the body can take over. It aims to equip you with skills to help maximise space in the pelvis and how to make full use of the natural physiology of childbirth to help you give birth as nature intended. We identify common potential physical, mental and emotional obstacles to a straightforward labour and birth and practise together how to address these. Your birthing partners will learn 'positive intervention methods' to enable them to help reduce pain, aid the descent of the baby, optimise the natural progression of labour and to safeguard your birthing environment. He or she will learn how to help create the atmosphere most conducive for you to give birth. Please wear comfortable clothing that you can move in. I look forward to welcoming you and your birthing partners to this workshop.